"It was important for me to find a balance between prints that are quite brash and bold and others that are more fine and delicate," explains Dries Van Noten of the many patterns which appeared on his Spring '19 runway. 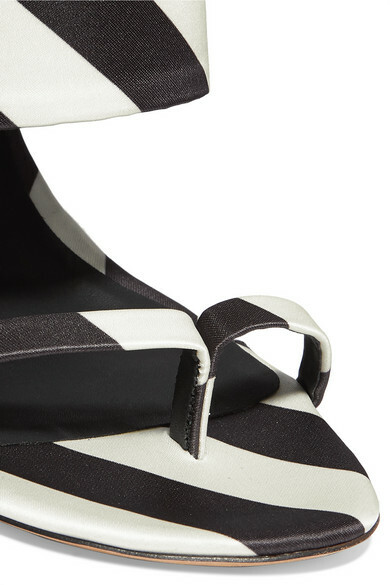 Emblazoned with the former, these graphic striped mules are made from lustrous monochrome satin and rest on slim stiletto heels. The wide strap and toe rings will keep your foot secure. 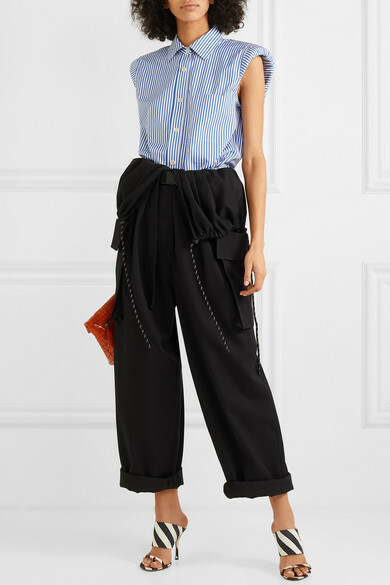 Shown here with: Dries Van Noten Jumpsuit, Dries Van Noten Shirt, Dries Van Noten Clutch.